Our consultants have worked with many of the significant special-status species in California and Hawai‘i. As testimony to this background, H. T. Harvey & Associates' wildlife team members have published more than 400 scientific papers and several technical books. A few particular areas of specialty are the salt marsh harvest mouse, San Joaquin kit fox, California red-legged frog, California tiger salamander, various bat species (including the endangered Hawaiian hoary bat), and the Ridgway’s rail. Our staff are recognized as leaders in their fields, including Dr. Scott Terrill’s and Dr. Steve Rottenborn’s expertise with birds; for Dr. Brian Boroski’s, Ron Duke’s, and Paul Conry's expertise with mammals; for Dr. Dave Johnston’s bat investigations; or for our other senior experts’ work with raptors or reptiles and amphibians, They stand out for their technical expertise, high scientific standards, and extensive field experience. 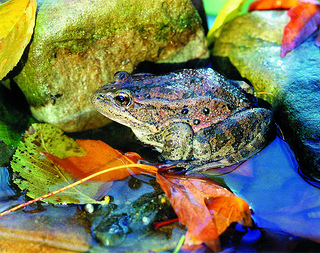 Our staff is unique among consultants in receiving National Science Foundation funding for ecology research for nearly 20 years continuously, and our senior wildlife team has many affiliations with academic and scientific institutions. Our wildlife ecologists have not only a rigorous scientific understanding of species and habitats, but also decades of practical experience with permitting, monitoring, and compliance support. Key additional members of our team include Ginger Bolan as well as regulatory specialist, Amy Sparks. Our ecologists are practiced in working across disciplines and collaborating with other experts and partners, as well as with agencies and stakeholders. We excel when a project results in a particularly complex set of challenges for a species, such as a recent renewable energy project that necessitated more than 200 interwoven biological compliance requirements.